We live in the Decade of the Internet Meme. You know what I mean: those little sayings and phrases that are superimposed over some funny or awe-inspiring photo, designed to make us angry, make us think, or make us snort whatever we’re drinking out of our noses upon reading. We went from fifteen minutes of fame to the thirty-second sound bite to the 140-character tweet to the internet meme. To what we’ll degenerate next, I’m not sure. Grunts, perhaps? Whether young or mature followers of Jesus, we all have ‘dry seasons’ in our prayer lives. There are times when our conversations with God are rich and fruitful and totally energizing. There are other times when we wonder whether God is even listening – or why we wandered away from God while he was listening. And when those dry seasons come, you know that the author of lies is at work. There is a fundamental belief inherent in that meme: a belief that there is an enemy. The enemy is the devil, Satan. We don’t know as much about the devil as we think we do, but this much we can determine: he is a spiritual being, with less power than the Holy Spirit, who seeks to keep God’s faithful from being all they can be in Christ. Sometimes, Satan gets blamed for things that are our own fault, but Jesus’ own experience with the devil (recorded for us in Matthew 4) suggests to us that there is a power that seeks to take us away from a single-mindedness oriented toward God’s glory and God’s kingdom. And when we don’t pray, our orientation toward God’s glory and kingdom is diverted. Just as a lack of conversation with a spouse or a friend can lead to a lesser relationship, so a lack of conversation with God can lead to a relationship with the Lord that seems more distant…even though God has not moved. There is another fundamental belief inherent in that meme, though, and that is that Satan’s power is really not that strong. Ordinary Christians can thwart the work of the enemy simply by praying. Our simple, child-like conversation with God can undo all manner of work that the devil has sought to do. That’s another reason why our prayers are so important. First, because they build our relationship with God and draw us closer to him; and second, because the work of evil in our lives and in the world is ruined by their simple utterance. Didn’t know you had that kind of power, did you? Of course, the power is God’s, but when we pray, God’s power works in and through us to deepen our walk with the Lord, and thereby to disarm Satan in his efforts to keep our relationship with God at the level of a casual acquaintance. 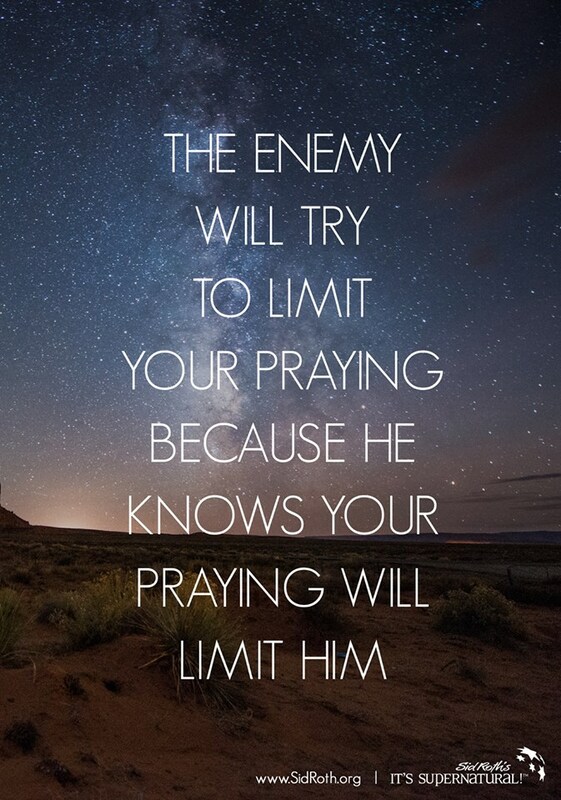 So keep on praying! Know that it encourages God, deepens us, and sends the enemy away with his (perhaps forked?) tail between his legs. “Next the devil took (Jesus) to the peak of a very high mountain and showed him all the kingdoms of the world and their glory. ‘I will give it all to you,’ he said, ‘if you will kneel down and worship me.’ ‘Get out of here, Satan,’ Jesus told him. ‘For the Scriptures say, ‘You must worship the Lord your God and serve only him’” (Matthew 4.8-10, NLT).